Desorption chemical ionization with ammonia as the reagent gas in combination with tandem mass spectrometry is described for the analysis of additives in polyethylene. The additives were extracted with toluene and then analyzed directly by desorption chemical ionization and tandem mass spectrometry. 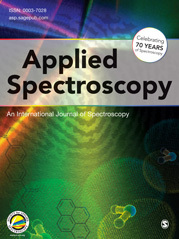 With ammonia as the reagent gas, mass spectra of additives were found to contain intense pseudomolecular ions with very little fragmentation. In addition, low-molecular-weight polyethylene molecules extracted with the additives were barely detectable, and thus there was less likelihood of interference. Collision-induced dissociation of the pseudomolecular ions provided great confidence in the assignment of additives.